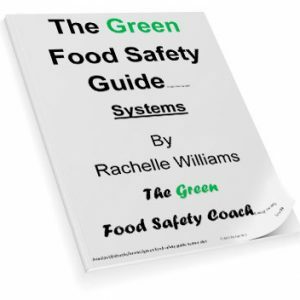 The Food Safety Guide is a series of 10 food safety related eBooks bundled together to assist any food business meet it’s legal and business food safety requirements. The Food Safety Guide is a bundle of 10 of my food safety eBooks at a 40% discount on buying each eBook individually. The Food Business Cleaning Guide - everything any food business or group needs to set up a suitable cleaning program. Nine issues to consider when labelling -Prepackaged food requires labelling and this eBook shows you how. So which food safety program do I need? - not sure what program you may need - this guide explains it all and helps you work it out. 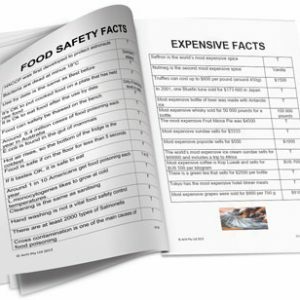 The Food Safety Supports - this eBook explains what support programs every business needs to ensure that food safety works. What is your CoPacker sending out for you? - this is the guide for any business whaich has another making their product or are thinking about doing it.